I'm french, so i will do me best for explain everything . I bought an adaptater GC for PC, it works, the PC read well the inputs, Dolphin see it, but i can't configure correctly the C stick, and the analog stick :/. Anyone have a tips for me ? Thanks a lot ! What adapter is it? Can you config the buttons and just the analogs are not working? Make sure you have the standard GC pad selected under the main game cube config. And yes, i can configure, A,B,Y,X,Start ...ect But not the analog and the C stick :/. You need to use the calibration utility found in the downloads section on the Mayflash website. 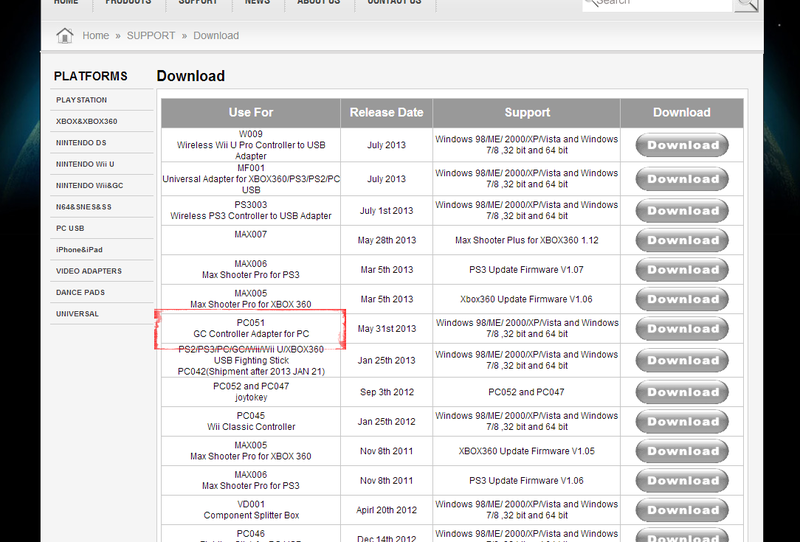 Download the utility for your adapter (PC051). If not, i don't see it :/. On the left find your model number (example : PC051), follow that to the right and click ( not right click ) on the download button. I downloaed the driver and all, but when i try to setup the stick, it's like this : http://img96.xooimage.com/files/7/f/a/sans-titre-2-3fbd0e7.png :/ The stick position stay up or down, or another way. Can you move the stick in a circle patter, does the dot follow? If so you have the layout right it must them be a calibration issue. 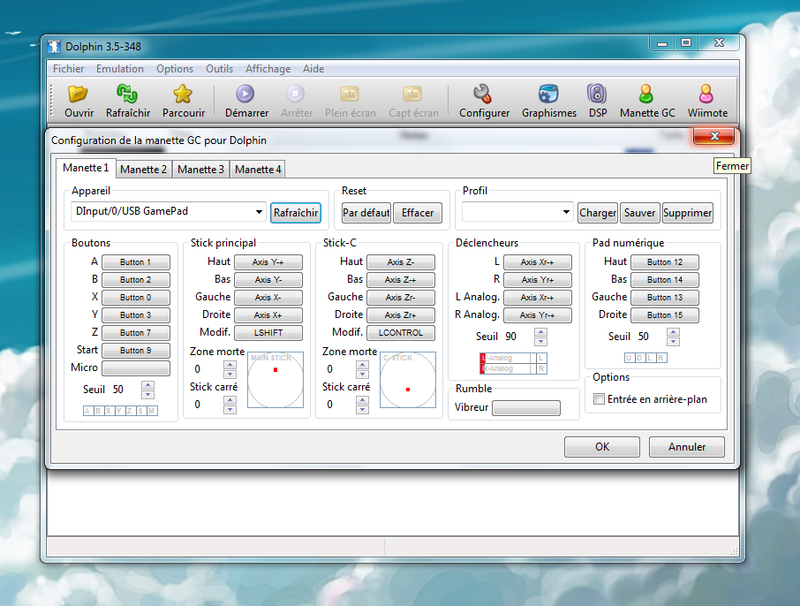 In the windows control panel for the game controller you will see the calibrate options. In many cases, on the MayFlash adapters, you need to manually map the analog- and C-stick. Choose the right Z and X axes in GCPad config. It work ! Thanks . But i have a last weird bug, on the game Super Smash Bros Brawl. On the menu when i move the menu with the stick C, it work, but not in game :/.